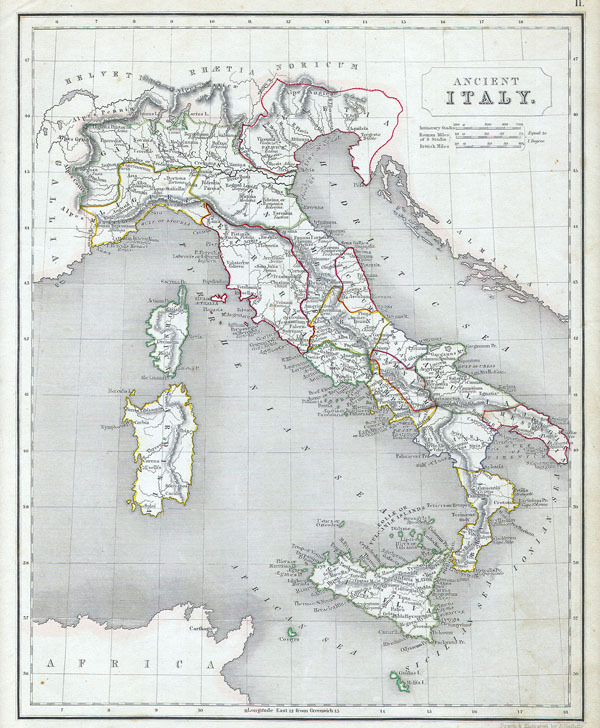 This is an 1845 Map of Italy in the days of the Roman Empire. Political divisions are defined in outline hand color. Very good condition. Light age toning. Blank on verso.